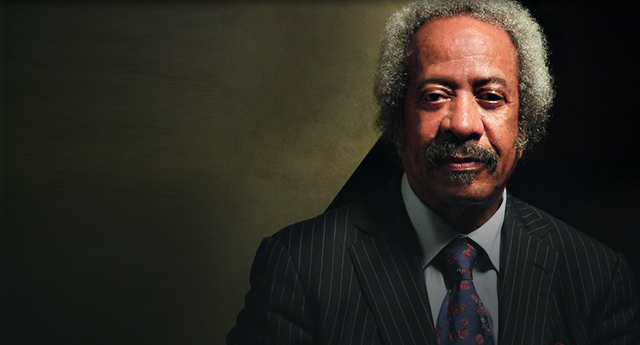 Allen Toussaint died on November 9th after a performance in Madrid. Since then, the outpouring of affection, respect and sadness has been seismic, a fitting testament to his profound impact as a cornerstone of the pivotal R&B and soul scene in New Orleans. Over several decades and countless remarkable recordings, Toussaint’s distinctive and expansive genius transformed the culture of the world. Born in New Orleans in 1938, Toussaint grew up steeped in the music that made the city an internationally-recognized symbol for innovation and creativity. An early fan of local piano wizard Professor Longhair, he was gigging by high school and playing sessions for legendary producer Dave Bartholomew, who shaped hits by Fats Domino and others in the Crescent City’s rock ‘n’ roll boom of the 1950s. Toussaint learned the craft of record-making quickly, and – though he cut solo records in these early days – he soon became essential behind the scenes as one of the city’s most successful producers, songwriters and piano players. Throughout the 1960s and 1970s, Toussaint made supple and sophisticated records that mixed New Orleans traditions with the expansive possibilities of black pop. His fluid, piano-driven arrangements – with clear inflections of jazz, blues and Latin music – provided perfect backing for the city’s great vocalists, like longtime collaborator Lee Dorsey or soul queen Irma Thomas. Though skilled in ballads, Toussaint became particularly successful with up-tempo tracks that sometimes (like in Dorsey’s “Working In A Coal Mine” or Ernie K-Doe’s “Mother-In-Law”) masked a quiet desperation just underneath their playfully funky exterior. The funk got thicker as the 1970s approached, when Toussaint hired a group of young musicians called The Meters to be his studio’s house band. Toussaint produced the group’s pivotal early records, including hits like “Sophisticated Sissy,” and used them on genre-defining classics like Labelle’s “Lady Marmalade” and Aaron Neville’s “Hercules.” Unsurprisingly, Toussaint also attracted the attention of white artists in this period, when his songs and arrangements energized records by The Band, Bonnie Raitt and others. From rock ‘n’ roll through disco, Allen Toussaint played a direct role in shaping the contours of African-American music. Even as Toussaint took his well-earned place as a respected elder and Hall of Fame inductee in the 1980s and 1990s, the hip-hop generation helped his work reach perhaps its widest audience yet. As he’s been since the 1960s, Allen Toussaint is still in the background of a significant part of our contemporary pop world. He stepped out of the background back in the 1970s when he recorded a series of astonishing solo albums. Like his contemporaries The Isley Brothers or his collaborators Labelle, Toussaint’s ’70s albums directly challenged narrow conceptions of what R&B (or black music) could sound like. He added rock, folk and country textures to his trademark deep grooves and jazz-inflected arrangements, and revealed the power and flexibility of his singing voice. One of the most striking examples is his original version of “Southern Nights,” later to become a massive country hit in a joyous version by Glen Campbell. In Toussaint’s hands, “Southern Nights” is a deeper and more complex meditation. Bathed in a humid mix of cascading keyboards, his muffled vocals express a melancholic longing for his youth in the rural South that avoids easy romance and instead finds ambivalence. Sometimes, Toussaint confronted ambivalence more directly through pointed and poignant commentaries on racial politics. He forcefully called for black unity in the face of historical and contemporary repression in “Who’s Gonna Help Brother Get Further?” and demanded a national reckoning with the unfulfilled promise of democracy in “Freedom For The Stallion.” But he also reaffirmed the promise of the beloved community, with songs that foregrounded the importance of love (“Soul Sister”), shared purpose (“We The People”) and self-reliance (“Yes We Can Can,” covered memorably by The Pointer Sisters) in the broader freedom struggle. In the turbulent era of Black Power and white backlash, Allen Toussaint demanded an honest accounting of the past and a reinvigorated commitment to the present. A catastrophic collision between America’s past and present shaped Toussaint’s final chapter. In the aftermath of 2005’s Hurricane Katrina, which damaged his house and recording studio, Toussaint moved to New York and embarked on solo tours where he performed his classics. (I saw one such performance in a casino lounge near Green Bay, Wisconsin where – despite the odd setting and faint clatter of slot machines in the background – Toussaint enchanted the crowd with just his piano, his voice, and his astonishing catalog.) These intimate performances affirmed his reputation as a musical master and cemented his status as a cultural ambassador for his beloved hometown. His final recorded work forms an extended meditation on New Orleans (and America) in a post-Katrina age. He contributed several songs to I Believe To My Soul, a powerful album released in the immediate wake of the disaster. In 2006, he collaborated with Elvis Costello on the near-concept album The River In Reverse, which paired new songs with several Toussaint classics including both “Who’s Gonna Help A Brother Get Further?” and “Freedom For The Stallion.” He returned to jazz standards on 2009’s deeply moving The Bright Mississippi, and revisited his own compositions on 2013’s beautiful live retrospective Songbook. These elegant final albums are a fitting summation to a most distinguished career. Ten years after Katrina, Allen Toussaint is gone. But he’ll never really leave us. His songs and recordings remain deeply embedded in our cultural consciousness. The sounds and rhythms he pioneered are ubiquitous and continue to influence new generations. And his life’s work reminds us that the great musicians create new worlds and teach us new languages. All it takes is for us to listen. We can listen. Yes we can can. Charles L. Hughes is Director of the Memphis Center at Rhodes College. His book, Country Soul: Making Music and Making Race in the American South, is now available from the University of North Carolina Press. Follow him on Twitter @CharlesLHughes2.